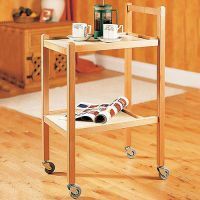 Included here are a range of household trolleys made with timber frames. They have wheels of various sizes. 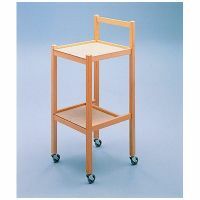 Trolleys with larger wheels will generally negotiate door thresholds, changes in floor surface and longer pile carpets better than small wheeled trolleys. 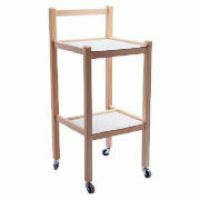 Some trolleys have a single shelf others have two. 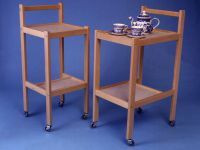 Trolleys with two shelves will often have the lower shelf positioned further forward, or with a cut-out, to allow space as you step forward. 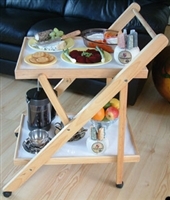 Household trolleys are intended only to transport items and are not intended for use as mobility aids. 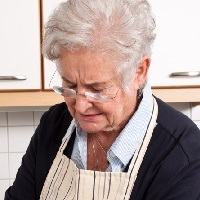 If you are experiencing difficulty with walking and think you may need a walking aid, we recommend you seek advice from a physiotherapist.